With a government shutdown looming because no deal has been reached for DACA and border wall funding, the number of people concerned is vast. Liberals are worried because they want a deal for Dreamers, and conservatives because they want a secure border. And, let’s not forget the military, because they won’t be getting paid if the government does shut down. But, out of all these people sick with worry, there’s one group that shouldn’t be too worried. And that’s the Dreamers themselves. Department of Homeland Security, Secretary Kirstjen Nielsen dropped a hard truth on Americans in a recent interview with CBS. She was asked what would happen to Dreamers if DACA expired in March before a deal could be reached. And her response? They will be tagged to be deported – but there’s just one massive catch. 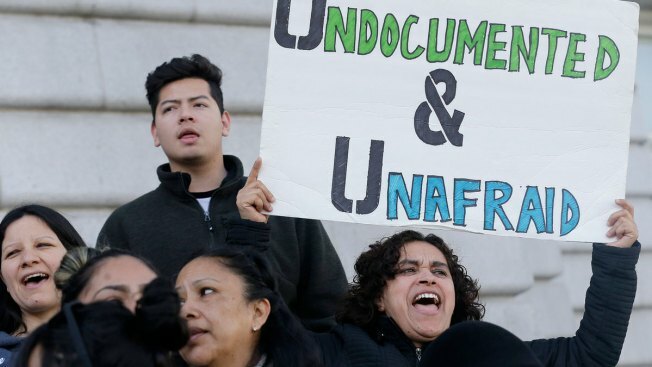 If Democrats and Republicans fail to reach a deal on DACA by March the program will expire and illegal immigrants under the program will become eligible for deportation. So, even if DACA doesn’t get codified into law, the DHS isn’t going to force Dreamers to leave? Nope. It sure doesn’t look like it. Ok, so if you break the law they will come after you, but if you don’t you’re all good. Wait, isn’t being in the U.S. illegally actually breaking the law ? So Dreamers who know it’s against the law to be here and chose to remain here, as adults now, are already breaking the law. But, ICE isn’t going to go after them. This makes no sense whatsoever. But, it seems it’s about to become a reality in America, because there’s no deal in sight. Nielsen’s comments come as Democratic and Republican lawmakers near a possible government shutdown over the future of the Obama-era protections for illegal immigrants brought to the U.S. as children. No wonder Dreamers keep claiming they’re undocumented and unafraid. No one’s going after them, law or no law.